Ski in Grandvalira or in Vallnord and let yourself be seduced by the genuine charm of the natural landscapes of Andorra. Rent all the necessary equipment with Shusski and dedicate yourself to enjoy the skiing experience. Just like you, we love snow. Skiing in Andorra: Andorra is a perfect destination for skiing or snowboarding. Vallnord and Grandvalira offer you more than 200 km of ski slopes in Andorra. The quality of the snow and its perfect facilities for skiers and snowboarders ensure a unique skiing experience in Andorra. Enjoy the idyllic Andorran scenery beyond skiing. Enjoy the best Bike Parks of Vallnord or Grandvalira! Reserve your equipment and travel by mountain bike the privileged enclaves of the mountains of the Pyrenees. Our sports shops shusski in Andorra: the best option to buy your bicycle btt outlet Come to Andorra to make the most of mountain sports, such as mountain bike! In our sports shops you will find everything needed to practice MTB: bike rental, bikes to buy, bikes at outlet prices, the best complements for bikes and the professional advice of our team. Would you find a better place than the Shusski sports shops to buy a bike? Book a comfortable and agile your rental equipment in the store of your choice. Our sports stores, near you, wherever you are! 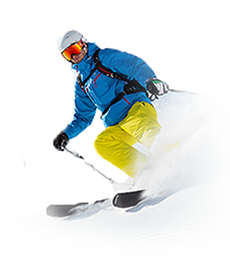 Buy your equipment online (clothing, ski jackets, skis, snowboards, helmets snow accessories, etc. ), and pick it up at your usual Shusski shop or the one that is closest to you.With Shusski it is so easy to ski in Andorra : 8 sports shops in Andorra, both in Vallnord and in Grandvalira, where we can rent or buy from our outlet the best snow sports equipment and mountain biking, such as skis, snowboard, bicycles, etc. Calculate the online budget of your purchase to expedite the process in the store. Buy the latest in snow and mountain clothing and accessories. If you want to rent for seasons, or want to know more about option to buy it in our outlets in Andorra, ask in our sports stores or contact Shusski. The best ski and snowboard material for rent, that adapts to your style, not otherwise.Shusski renews its ski and snowboard material from top brands every season, top quality and always ready for you!